Nature Nick’s Animal Adventures paid a second annual visit to Audubon House at the Oslo Riverfront Conservation Area, bringing with him a whole host of exotic animals from around the world. This week will feature a short sampling of the exotic and often handicapped animals that would not otherwise be able to survive in the wild. First up, a Barbary Falcon, which is a resident bird of the drier, more desert parts of Africa and the Middle East where it has been domesticated and used for falconry. 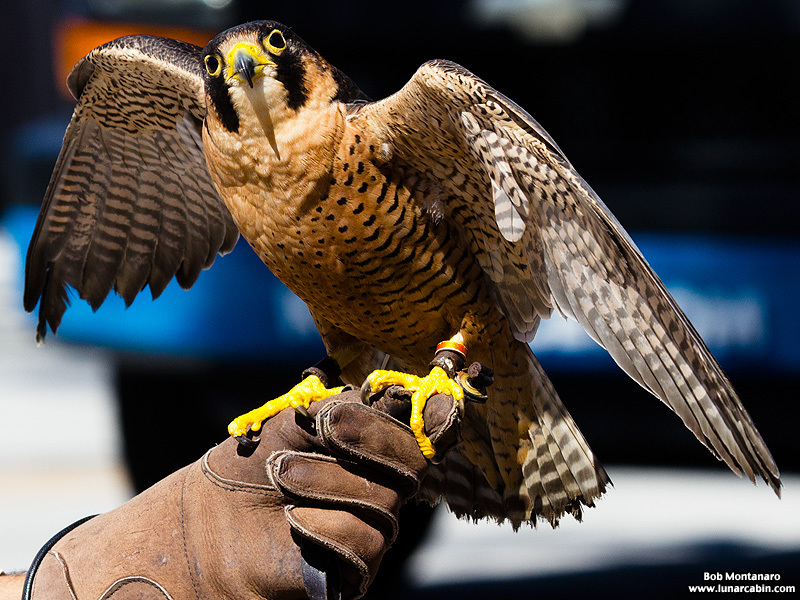 The Barbary Falcon is a lethal raptor adept at catching and killing other birds in flight.